I don’t know about you but I sure am loving the time change! It’s great to have that extra hour of daylight in the evening. It gives me enough time to get everything done around the farm without feeling rushed. The weather has been sunny and in the 70s here which has been really great for riding. 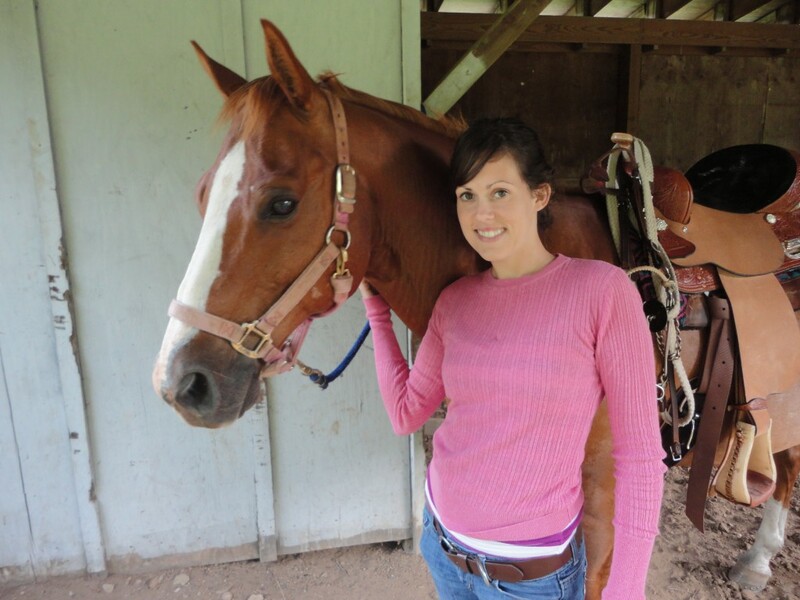 Of course, my horses get hot fast because of it being warmer and them still having a winter coat but it will be gone in no time. Has your horse(s) started shedding his/her winter coat yet? Mine have started too and it’s funny to look out in the field and see all the white spots from Jet or Vinni rolling and their hair being left behind. I’ll be glad when their winter coats are completely shed out and it’s warm enough to start bathing! My horses need a bath in a bad way. Back on shedding though, I like to do as much as I can to help my horses get rid of their coats faster so I tend to groom a lot more. In past years I would give supplements to help them shed faster but last year I was introduced to this new shedding tool by a friend. Here’s a short video I found on it. The SleekEZ comes in two different sizes and can be used on horses, donkeys, dogs, cats, etc. 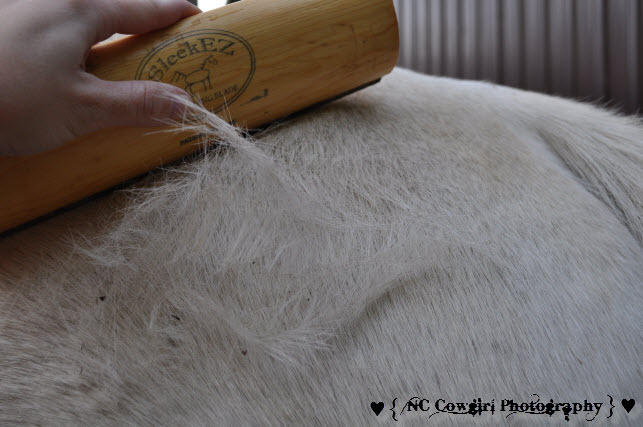 Not only is it great to use on your animals but it’s also great to use on your Saddle pad to remove hair. What is your favorite shedding tool? Have you tried SleekEZ? I love the longer days but all the mud and hair are driving me crazy. So ready to get all the horses finished shedding. I may need to get a SleekEZ, I’ve never heard of them I have always used the Slick N Easy. Hi Scott. I am not a dealer with Sleekez. You’ll want to look up price and details on their website.